1. Grind coconut, dhinia, jeera and red chilles. 2. Mix with tamarind extract, salt and turmeric powder. 3. Heat ghee, fry onions, puor the gound masala with enough water and allow to boil. 4. Meanwhile make omelettes with beaten eggs and cut into pieces. 5. Add these pieces to the boiling gravy. 6. Boil for 2 minutes and remove from fire. 7. Garnish with cut coriander leaves. 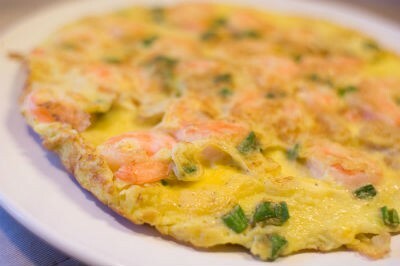 Feel free to comment or share your thoughts on this Omelette Gravy Recipe from Awesome Cuisine.